The current Warframe Prime Vault is set to close on January 29 – and the next one will open on the same day. While back-to-back Vaults are a new development, this works just like it has in the past, as a set of previously vaulted items become available once again. This time the headliners are the Ember Prime and Frost Prime, which are available as part of a top tier dual pack. This new vault closes on March 26. In addition to the usual Prime variants of Ember and Frost, the Fire & Ice Dual Prime Pack will get you Latron Prime, Reaper Prime, Sicarus Prime, Glaive Prime, and 1200 Platinum. Plus you’ll have the Misa and Pyra Prime Syandanas, a Titan Extractor Prime with blueprint, and a selection of Prime Glyphs. You can also get those items divided out in smaller packs, if you’re looking for a few specific things. The Ice Prime Pack has Frost, Latron and Reaper, while the Fire Prime Pack has Ember, Sicarus, and Glaive – each come with 400 Platinum and a few of the other bonus items. If you really want to narrow what you’re getting, there are also a pair of Accessory Packs with even more limited options. You can find more details on the official site. In more forward-looking news, Digital Extremes revealed Hildryn and Wisp last week – and though details on the new Warframes are scant we do have a taste of what to expect. 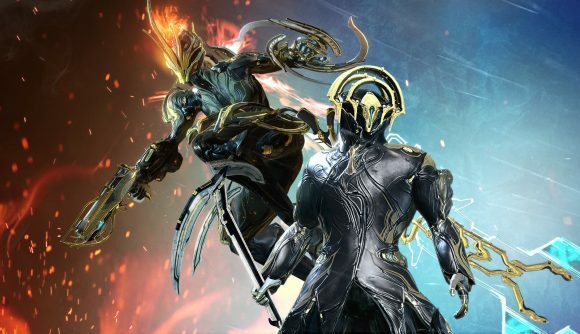 Warframe broke into Steam’s top-selling games of 2018 despite being free-to-play, so the Prime system certainly seems to be working out. Maybe we’ll see this accelerated pace of Vault openings continue.